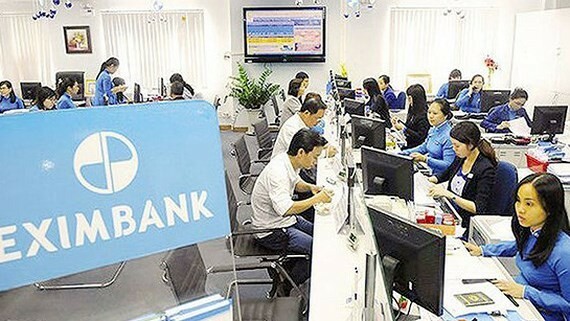 The State Bank of Vietnam will reserve enough capital for production in HCMC, said Deputy Director of the State Bank of Vietnam in Ho Chi Minh City Nguyen Hoang Minh at the seminar “ Where small enterprises can find capital?” on July 18. 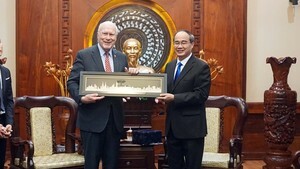 Mr. Minh said that six month credit growth rate in HCMC reached 7.5 percent. Until now, the city’s loan outstanding balance is VND1.9 trillion accounting one third of the country’s total credit outstanding balance, he said. "The bank has targeted 17 percent of credit growth rate in 2018; hence, the credit growth in HCMC will be 10 percent or VND190 trillion ($8.2 billion) from now to the end of the year". Accordingly, he affirmed no capital shortage for production even in the end of year when demand of capital increases. At present, the bank credit is finacing only five fields including agricultural development, production of export commodities, small and medium-sized enterprises (SMEs), high-tech and supporting industry as per the direction of the government, the central bank and People’s Committee. Additionally, banks are dealing with bad debts to have more capital to loan SMEs. Mr. Minh said that as of June, 2018 the rate of bad debts in HCMC was 3 percent without minus of three banks’ bad debts bought at zero by the central. The rate of bad debt is no at 1.7 percent, lowest within ten years; hence, the city will give more credit to producers from now to the end of year. Credit, interest rate and exchange rate affect fund sources for SMEs, said Mr. Minh. Mentioning to exchange rate, Mr. Minh said from June, the domestic market under global currency market pressure forcibly raised VND/USD exchange rate. The FED raised the USD interest rate in 2018 affecting on exchange rate and gold market, said the representative of the central bank. However, the government can maintain stability of foreign currency market. Banks have still satisfied demands of residents and enterprises. Additionally, thanks to disbursements of Foreign Direct Investment (FDI) capital, remittances, export and reserves of $63.5 billion, the central bank can intervene the exchange rate; hence, no pressure will be put on capital source and lending interest rate. In related news, to create favorable conditions for poor and close-poor ethnic people in HCMC, the city People’s Committee has issued a policy to give loan with interest rate of 4 percent annually for production and services. The maximum loan is VND50 million per household. The policy lasts from August 1, 2018 to December 31, 2025.